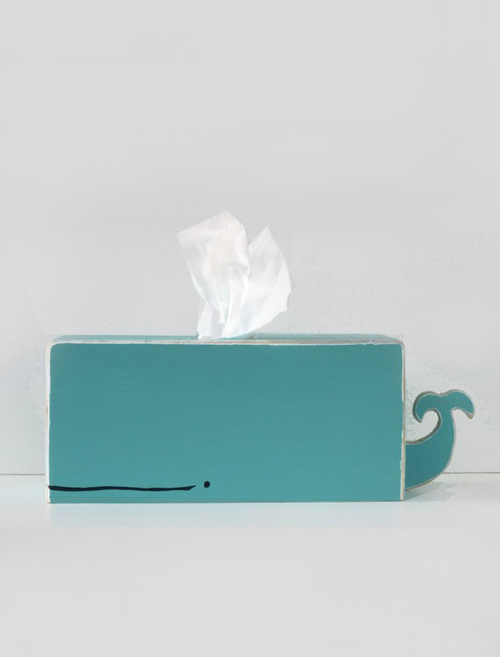 Dispense your facial tissue in style with this lovely handcrafted wooden whale from Etsy shop Gnome Sweeeet Gnome. Each whale is completely hand cut, hand sanded, hand painted, and hand constructed which requires several hours of loving attention per whale. The wood is purchased from a local lumber store who buys directly from sustainable forestry companies in the United States. Hehe, that is really cute!!! Really cute!!! I want one of those! So cute, looking at this really made me smile! OMG, I love this!!! It would be cute as a crochet project as well! !